So you booked your flight to Phuket and are now considering renting a car for your explorations? Wonderful! This comprehensive guide covers everything you need to know in order to make a well-informed decision and get the most out of your trip. 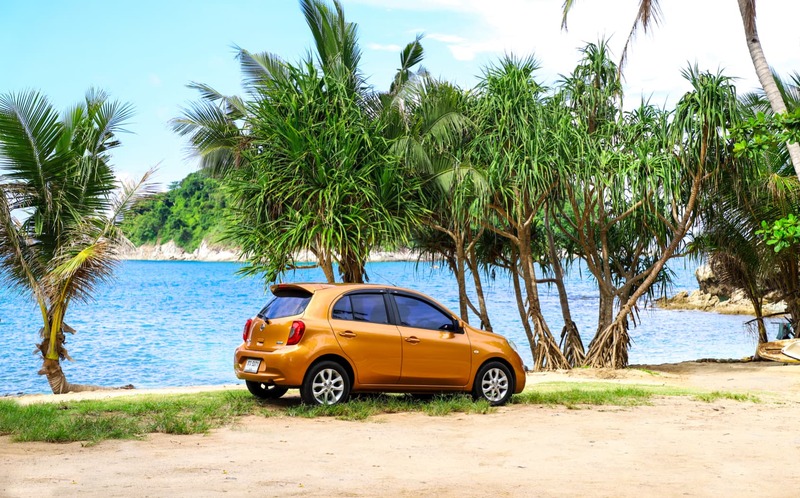 Whether you have rented a car before or this is your first time playing with the idea — no place is the same and this guide will give you all the particulars of renting a car in Phuket. 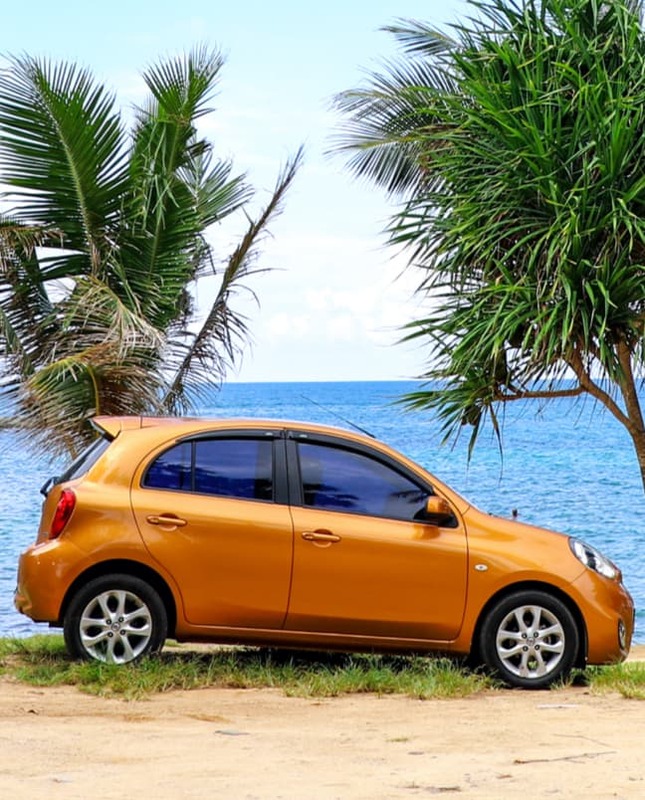 Is renting a car a good way to explore Phuket? First off, you made a great choice picking Phuket — Thailand's largest and most versatile island. There is so much to see and do, it's only natural to wish for your own four wheels. Let's jump right into it and consider whether renting a car is a good fit for your holiday. The short answer, of course, is yes. The island is vast and there are countless beautiful spots to visit. But is it the best option for you? Let's find out. There is hardly anything that feels more like freedom than sitting at the steering wheel with endless possibilities opening up at every turn. There is no limiting time schedule, nor a fixed route to adhere to. Take off whenever you please, stop for a bite when you feel like it, take in the view, adjust your route as you go, take a detour to a cool spot on the way, stay as long as you wish and move on when you're ready. There is hardly anything that feels more like freedom than sitting at the steering wheel with endless possibilities opening up at every turn. You like to discover places the typical tourist doesn't go to? Maybe a quiet beach or some serene viewpoint in the hills? If you're looking to get away from tourist masses, chances are there's no bus route to such spots. If you're an avid explorer and would like to make the most of your time on the island, moving around by taxi can get pretty pricey. Nissan March - economy class, fuel efficient, easy to park. Rates usually from 800 to 1200 Baht per day. If you've been to Southeast Asia, you probably noticed the abundance of scooters whizzing about. You might have even tried riding one yourself. It's certainly a fun option for short rides to the beach, but can be quite exhausting and risky if you'd like to venture beyond your neighbourhood. No doubt, driving in a new place is not only enjoyable; it's also a valuable experience. Even if you're not a driving enthusiast, exploring a foreign country with your own four wheels can be the highlight of the trip. And since there are two sides to every coin, here are the drawbacks of renting a car. Let's face it — it's a new place and you might not be familiar with its roads, rules and customs. It's perfectly natural to feel apprehensive. That is why you are reading this. Many people feel uneasy about dealing with traffic in Phuket. It is a valid concern, especially if you are from a right-hand driving country. If you're only looking for a quick ride around the neighbourhood, renting a scooter is a cheap and flexible option. Having a car is especially valuable if you only have a few days and would like to "see and do it all". For longer trips you may hire a private driver with a car or just use taxis. It's convenient but can get pricey. The cheaper alternative to taxis. It can be fun to use for short trips but may be uncomfortable for long distances. If you're on a very tight budget or you simply would like to mix in with the locals for an authentic experience, check out local bus routes at the nearest tourist information office. The bottom line is: If you are only planning a one-day trip, you might be better off with a package tour or taxi. However, if you'd like to spend a few days on the road, a rented car is a great option. It's especially valuable if you only have a few days and would like to "see and do it all". Having established the benefits and drawbacks of renting a car in Phuket, let's look into finding the best company for you. How to choose a reliable rental company? A quick online search will show you that Phuket has no shortage of car rentals. Walking around some of Phuket's touristic areas, you will realize that there are a lot more than Google showed you. In all that overwhelming variety, making a choice can be exhausting. Here is an overview of your options along with a practical checklist, which will help you to spot the most competent candidates and eliminate unsuitable ones quickly and efficiently. If you're not one who likes to have everything arranged and sorted out beforehand, you may look around for an agency once you've reached Phuket. There certainly is no shortage. However, most street companies don't have an online presence and you probably won't find any feedback about their competence. Booking online is not only more convenient, as it gives you the opportunity to browse from the comfort of your home; it makes it easier to compare cars, prices and policies. Moreover, you will find real customer reviews on most online listed companies, which frankly is your best guide. If you are concerned about committing to a booking in advance, simply pick a company that offers free cancellation and does not require any payment in advance. Big corporations oftentimes display very competitive rates but end up charging extra for most things you would find included elsewhere. As anyone who has ever rented from a large chain knows that you almost never end up paying the amount you first saw in your search results. Also, the terms and conditions could be quite a long read. Nevertheless, a lot of people prefer to rent from large chains. If that sounds like you, make sure to read customer reviews of the particular branch from which you'd like to rent. A flashy brand name might invoke an instinctive preference, but genuine customer feedback undoubtedly has more substance. One of the reasons people pick big chains is the convenience of finding a branch right at the airport. In Phuket, however, many outside rentals will deliver your car to the airport at no extra cost. Moreover, small rental companies tend to be more flexible and accommodating of your individual needs than their corporate cousins. For one thing, terms are usually short and straightforward, free of excessive business jargon. Also, concerns like assistance, special requests and plan changes are normally handled swiftly and without unnecessary bureaucratic nonsense. The company's customers are your best advisors. If real people are vouching for a company, chances are you're in good hands. Plans change and it's part of good customer service to be accommodating. If the company is charging a cancellation fee, you might want to look around for one with more generous terms. Some companies require payment right away, either partly or in full. Shall you change your mind or your plans; you probably would be left with a cancellation and a transaction fee. Paying on arrival is safer and keeps you in control. Almost every company declares to have "full insurance" included. It's a catchy but widely ambiguous claim. What it usually means is that it includes apprehensive insurance, which only covers damages to the rental car not caused by a collision. To include a proper coverage in such a case, you would likely be asked for additional payment. Make sure you're covered for collision, third party liability and theft. Also, it is very common to have an excess policy, which serves mainly as an incentive for renters to drive more cautiously and avoid damages to the car. In many parts of the world it's common practice to provide your credit card details when renting a car and many rentals in Phuket request that information as well. If there is a possibility to avoid it, however, do so. Some rental companies still insist on keeping your passport while you are having the car. Such a requirement should set your alarm bells ringing. Stay away by all means. See if the company observes an age limit for their cars. Changing the cars every 3 - 4 years usually means they are in great shape and well maintained. 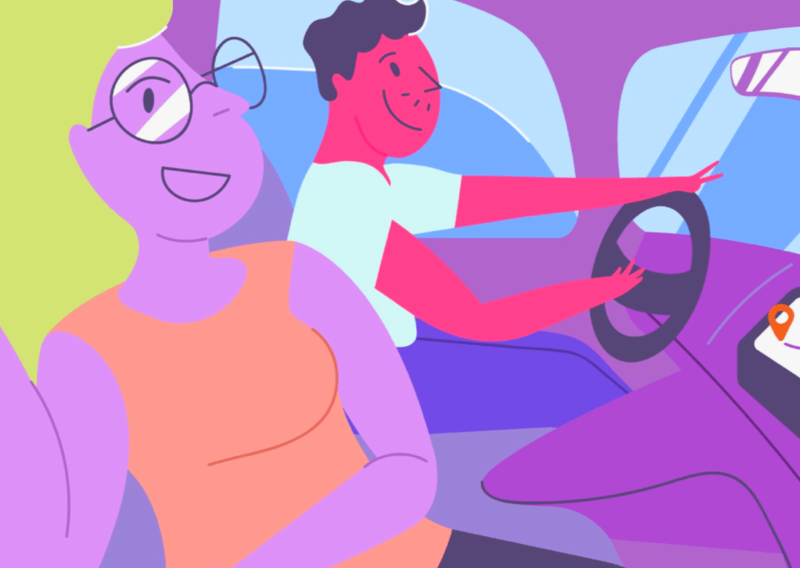 Some companies, especially the large corporations, are only renting to drivers of a certain age group or have higher rates for young drivers. Although not especially popular in Phuket, some rentals do charge extra for a second driver. That is particularly common with international chains. 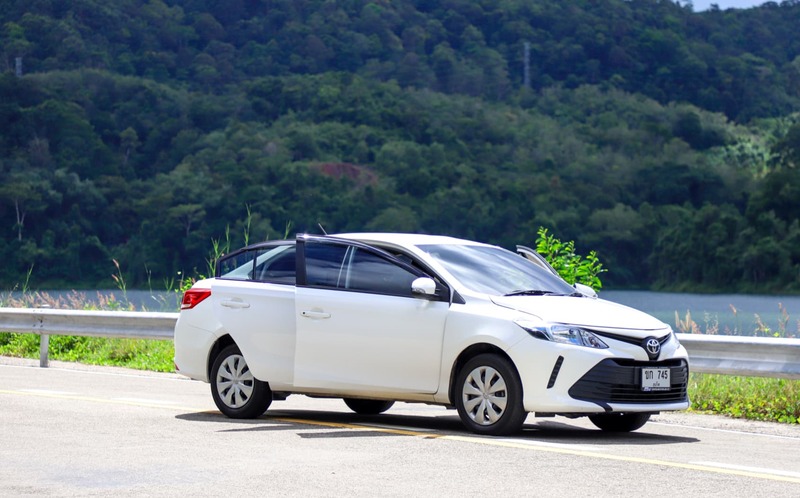 Toyota Vios - comfortable sedan, very popular option in Phuket. From 1000 to 1400 Baht per day. If you're planning to rent for one day only, pay special attention to this policy, as some companies have a minimum number of rental days. It is customary to leave a security deposit, which will be handed back to you upon return of the car. You might be asked to provide your credit card details, which should be alright if you're getting a good deal. But never leave your passport or any other documents as a deposit. Limiting the number of miles/kilometers you're allowed to cover per day is a widely unpopular practice in Phuket, but still occurs now and then. Make sure the deal includes unlimited mileage. You are normally expected to return the car with the same level of fuel as you took it, which is usually "full to full". Check if the policy is noted in your agreement. Some car rentals allow their cars to be driven in Phuket only. If you are planning on venturing beyond the island, make sure the company you are renting from permits it. Having ticked off all the above marks, it's time to get to the interesting part - picking a car. If budget is your main concern, the choice should be fairly easy. Still, let's have a look at the options. What car best suits your needs? Models such as Nissan March and Honda Brio fall into this category. Probably the most popular choice worldwide. The cars are usually rather compact, which makes for easy navigation and breezy parking. Furthermore, cars in this category tend to be more fuel-efficient and that's a clear plus. 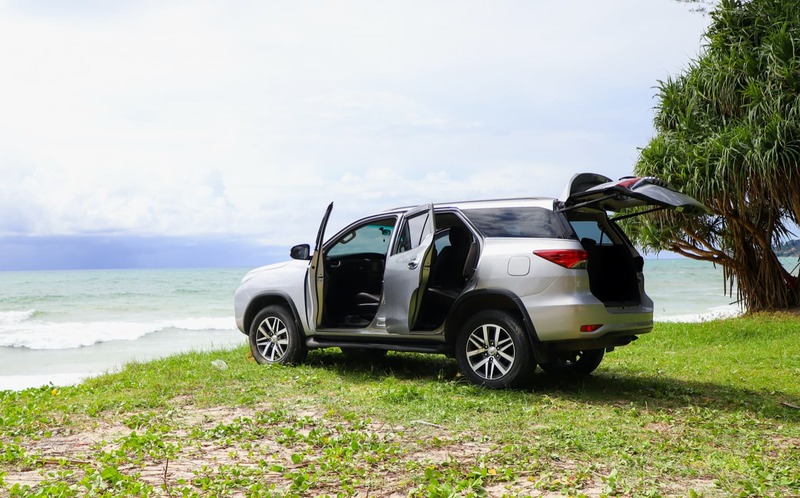 Toyota Fortuner - comfortable and powerful SUV. Rates usually from 2000 to 2500 Baht per day. Here you will find such cars as Honda Civic or Toyota Vios. Spacious and comfortable, sedans are your best pick for traveling with family or in a large group. It's particularly worthwhile if you're planning long trips. Toyota Fortuner and Mitsubishi Pajero would be shining examples for this category. Remarkably comfortable and extra strong, which makes driving more enjoyable. A rugged four-wheel drive off-road car for the more adventurous driver. There is hardly any terrain in Phuket to call for that sort of muscle, but it can be fun if you enjoy a rough ride. Common pickups are Toyota Vigo Hilux and Mitsubishi Triton. Being rather large and not very easy to park, it's probably not the most practical option for a holiday ride. But if you'd like to blend in and drive like a local - go for it. You won't come across this category a lot, but it is available for those who wish and can afford it. Now let's have a look at those prices. 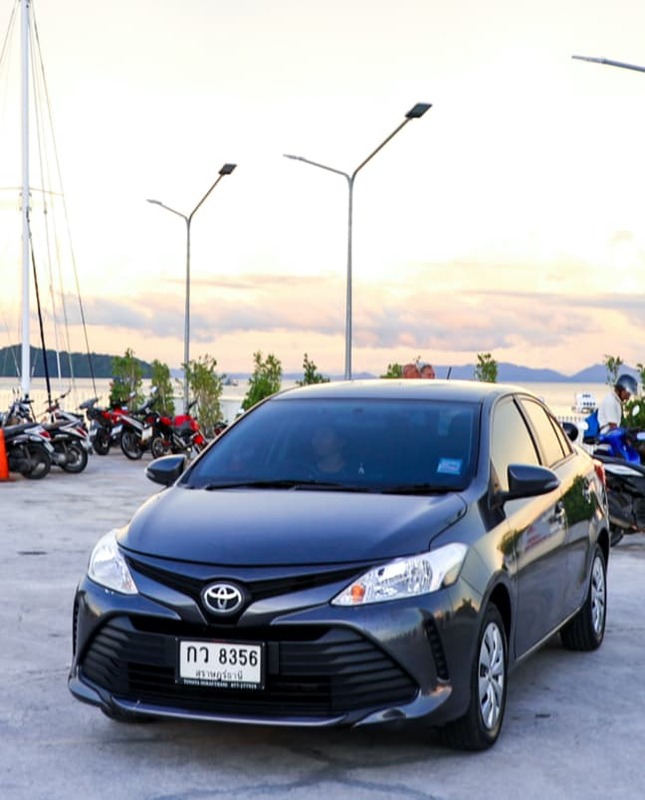 How much does it costs to rent a car in Phuket? One thing you need to keep in mind is that Phuket is a highly touristic place and prices fluctuate strongly from season to season. That said, let's look at some examples and common price ranges for popular categories. These are low season rates and should include not only comprehensive insurance coverage but also collision, third party liability and theft. Expect to pay about 200 to 500 Baht per day extra in high season. Depending on the model, prices range from 800 to 1200 Baht per day. 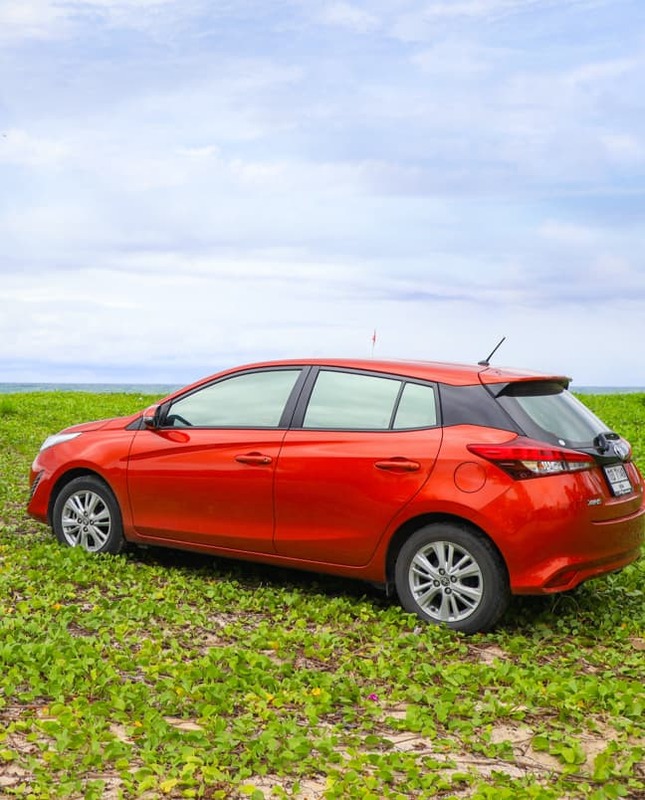 Toyota Yaris - another comfortable family ride. Rates from 1000 - 1400 Baht per day. A reasonable rate would be 1000 to 1400 Baht per day. 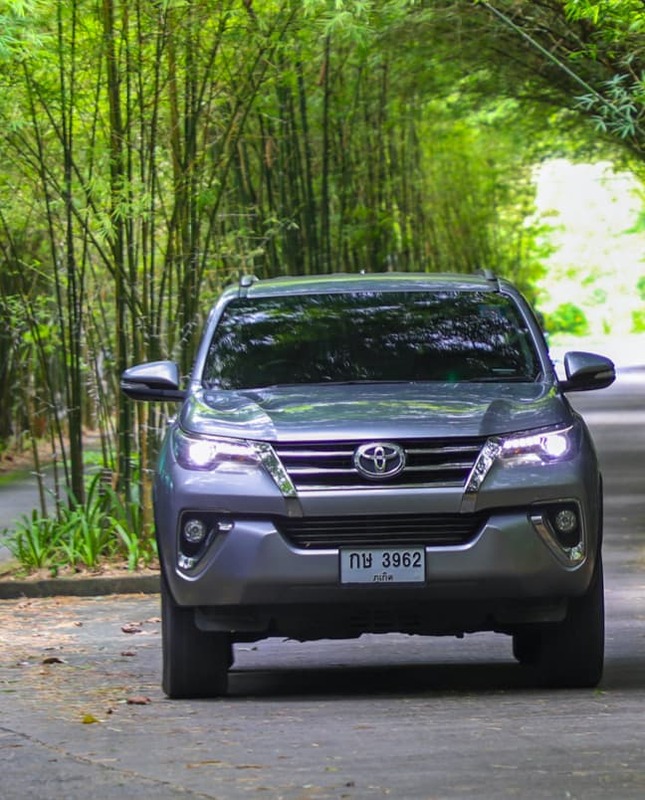 Somewhere between 2000 and 2500 Baht per day is a fair price for an SUV. If you come across prices that deviate strongly from the above ranges (especially if they're lower than the norm), check the age of the car, read the fine print and make sure you are getting proper insurance coverage. Unusually low prices generally come with some serious cutbacks. What also might cause a difference in rates are pick-up and drop-off fees. Some companies charge extra for airport or hotel delivery, whereas others include it in the price. It's customary to offer discounted rates for long-term rentals. This can be as little as 5% for a week's rent and as generous as a 40% price drop for a month. If you're new to Phuket, you'll probably need some help navigating. Some companies rent GPS devices for a chunky fee. A more convenient and cost-effective option would be to use your smartphone. You can get a local SIM with data for a fraction of what you'd pay for a GPS device. Also, many rentals provide a phone holder with charging cable for a small fee or even free of charge. Car seats for young humans are not a big concern in Thailand and you will rarely see one used by a local. However, that is probably where you would want to draw the line on "blending in with the locals" and acquire a proper baby seat for your little one. Thankfully, most car rentals provide them for an additional fee. Convenient and cost-effective, as it saves you expensive taxi rides from and to the airport. If you're renting from a company with an airport booth, head straight for it. In case you're renting from an outside company and have your car delivered to you at the airport, you will normally find a representative of your car rental waiting for you at the arrival hall. Drop off happens in a similar fashion. If you prefer to have your car delivered to you at your hotel, a representative will normally be waiting for you by the reception at the appointed time. This option usually costs extra. Some companies offer customers to pick up their car directly from the rental agency. It's normally free of charge but may not be very convenient if the office isn't close to either your hotel or the airport. What should you pay attention to when picking up your car? Read the contract carefully. If you chose your rental company well, it should be a short and breezy read. Take time to check the car. All blemishes should be marked in the contract. It doesn't hurt to snap a few photos, just in case. Check the fuel level and make sure it's noted in the contract. What to look out for when dropping off the car? Some companies charge hefty fees for late returns, so make sure you're on time. If you've picked a generous rental, they might overlook a minor delay. A representative will check the car for damages, so have your photos ready, if needed. Also, make sure the car is not uncommonly dirty, as some companies may charge a cleaning fee. Having read thus far, you should be pretty well set. Here are some extra pointers for good measure. Having a valid driver's license might be an obvious requirement, but it's too important not to mention. Most companies don't demand an international driver's permit, so long as it's using the Latin alphabet. Some car rentals will claim that their insurance coverage is forfeited without a valid international driver's license. That's usually bogus, but be sure to read the fine print, just in case. Getting travel health insurance prior to your trip to Thailand is just common sense. Those are usually quite inexpensive but could be literally life-saving. It's certainly a good idea to get one even if you've never considered renting a car. 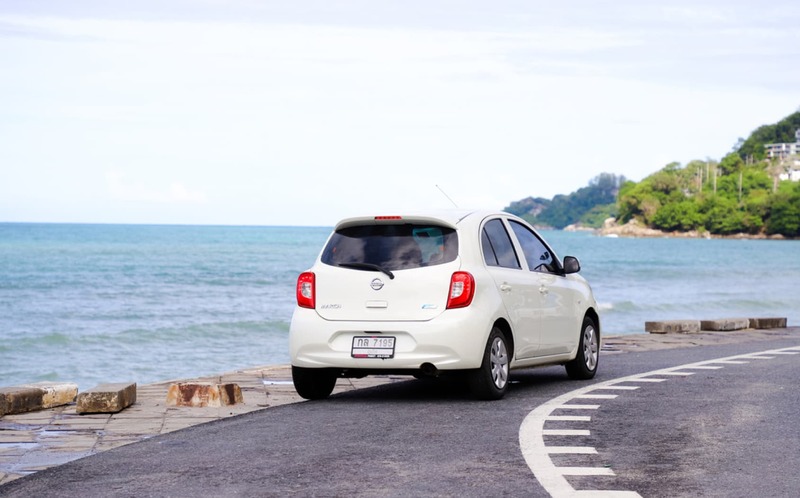 Renting a car in Phuket is a very popular practice for a reason. It's a fantastic way to see the obvious and the hidden gems of this beautiful island. Plus, the wide range of companies and generally friendly terms make car rental quite easy and enjoyable. Countless travellers have safely explored Phuket on their own wheels. If you follow the advices of this guide and keep your wits about you, there is no reason why you shouldn't have a wonderful experience as well. Rent a car from 990THB/day with insurance and unlimited mileage included. Book without credit card and pay on delivery.